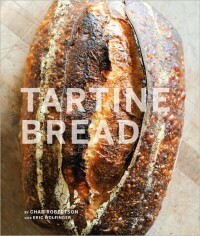 Tartine Bread is my ideal bread book. No more excuses, no more stalling, time to expand beyond pizza dough and brioche. Bread baking is very personal by nature. We all take to the ovens with varying degrees of enthusiasm, skill, and expectations. Not to mention time commitments. The most important element of a bread book, apart from the inclusion of recipes for breads you want to make and henceforth eat, is finding one that complements your skill and understanding. The broader the reach a bread book has in terms of understanding and challenge means a book with a longer shelf life. Tartine Bread by Chad Robertson (of the acclaimed restaurant & bakery, Tartine in California) accomplishes the difficult task of being approachable for bread making novices and challenging enough for old pros. There is also a fine bonus of a generous chapter on ‘Days-Old Bread’ where Robertson shares some of Tartine’s favorite recipes featuring bread – Eggplant and Charred Pepper Bruschetta anyone? His first chapter is devoted to his own recipe and technique for making his classic standby, Basic Country Bread. 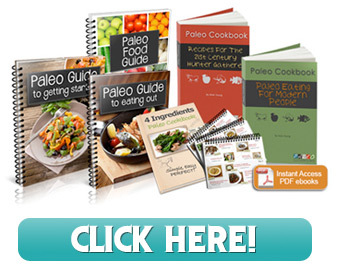 With over 60 pages of detailed instruction, background, and step-by-step photos, success is practically guaranteed. Once the Basic is (somewhat easily) mastered we are ready to move onto subsequent chapters on Semolina and Whole Wheat Breads and Baguettes and Enriched Breads. Never before has the elusive Croissant seemed so attainable. His pictures inspired and his instruction was flawless – success! Robertson writes with a calm and reassuring voice, he doesn’t back down on the necessary science and terminology, he just manages to make it understandable. The background story about opening Tartine and his quest for the perfect loaf is a wonderful and engaging entry to the book. From front cover to back and every page in between, this book is a stand out and a must-have for serious and not-so-serious bread bakers alike.